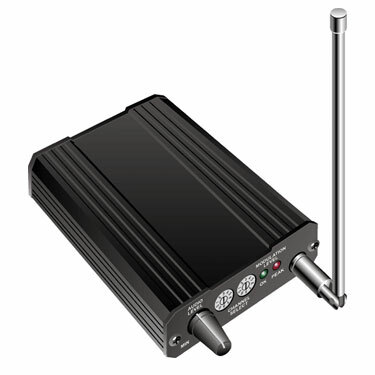 The AT900-32 wireless audio transmitter conforms to FCC Part 15 requirements for unlicensed use and has a range up to approximately 750 feet*. The AT900-32 transmits excellent quality low noise stereo audio from any line level source. 32 channels are available to enable operation of multiple units in an area. Use with AR900-32 wireless audio receiver.